Hand spun alpaca from our farm. 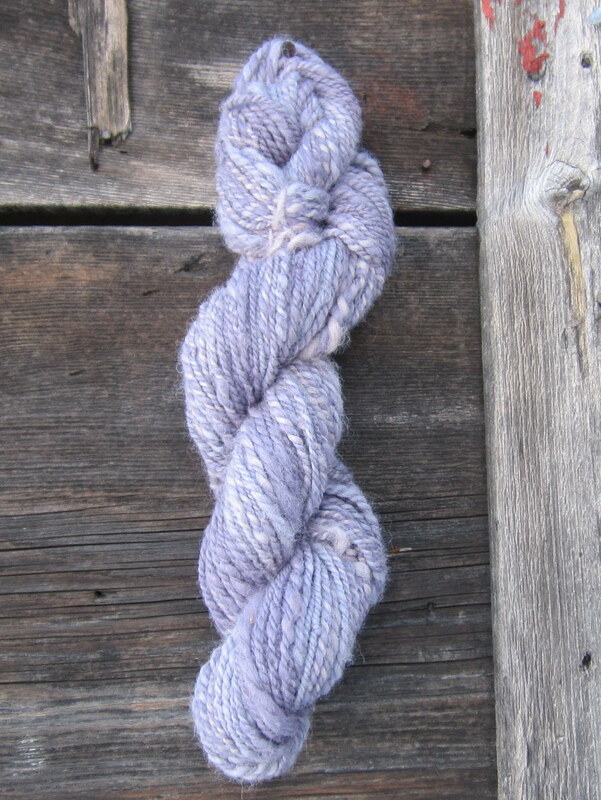 The fiber was carded by hand and dyed in the last two exhausts of the dye vat, resulting in very soft lavenders. So soft! ← The snow outside the door.